SUBSCRIPTION OFFER + FREE BOOK! New Subscription + FREE Book! 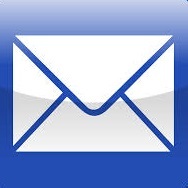 FARM SHOW Magazine » Subscribe » New Subscription + FREE Book Offer! 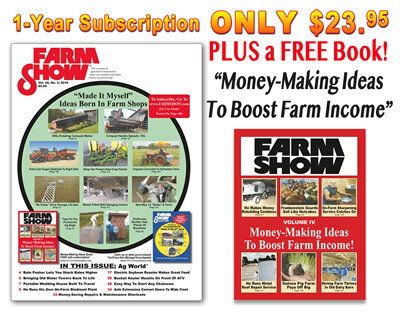 Subscribe to FARM SHOW Magazine and your new subscription will ALSO include a FREE BOOK, "Money-Making Ideas to Boost Farm Income" Vol. IV which will be sent along with your first issue. This 168-page book is not available to purchase in our store, but you can still find and buy the first 3 Volumes in our "Money-Making Ideas to Boost Farm Income" series, available in our Store. Every issue of FARM SHOW Magazine is 40-pages PACKED with only interesting stories about amzing made-it-myself farm inventions, money-saving ideas, handy shop tips and much more, all submitted by our loyal readers. 1-Year Subscription = 6 Issues ONLY $23.95! 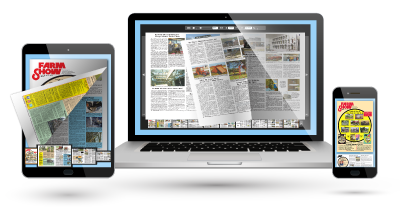 Every Subscription includes FREE digital "flip-book" versions of every issue, which can be viewed on your phone, tablet or laptop. PLUS FREE online access to all 43 years of past issues of FARM SHOW Magazine! That&apos;s more than 25,000 stories about unbelievable "Made-It-Myself" farm inventions, money-saving farm repairs, time-saving repairs and maintenance shortcuts, energy-saving ideas and the BEST farm shop tips you'll find anywhere! Outside Advertisements! It's our loyal Subscribers, not big-advertisers, that are the ones responsible for keeping us in business for over 42 years! We offer a No Risk, 100% Money-Back Guarantee. If at any time you're not completely satisfied with your subscription to FARM SHOW Magazine, we'll refund 100% of your money, no questions asked, no matter how many issues you've received. That's how confidient we are that you'll love reading our magazine!